Only available on the following and other select brands: Bridgestone, Dunlop, Goodyear, Hankook, Kumho Tires, and Yokohama. Ask your Service Consultant for a complimentary Mazda Full Circle Service Inspection today. No coupon necessary. Excludes hazardous waste fee, tax, and shop supplies, where applicable. Includes hazardous waste fee in California. Mounting and balancing additional. Offer not valid with previous charges or with other offers or specials. offer good for OEM direct-replacement, direct-replacement-aletnative, or winter tires only. Offer has no cash value. Customer must present offer at time of write-up. Valid at participating dealers. Offer subject to change after June 30, 2018. Dealer Tires is the seller, not the manufacturer, of all products offered to dealers through the Mazda Tire Center program. No coupon necessary. Excludes hazardous waste fee, tax, and shop supplies, where applicable. Includes hazardous waste fee in California. Mounting and balancing additional. Offer not valid with previous charges or with other offers or specials. offer good for OEM direct-replacement, direct-replacement-aletnative, or winter tires only. Offer has no cash value. Customer must present offer at time of write-up. Valid at participating dealers. Offer subject to change after June 30, 2018. Dealer Tires is the seller, not the manufacturer, of all products offered to dealers through the Mazda Tire Center program. Not valid with any other offers. Plus applicable taxes. 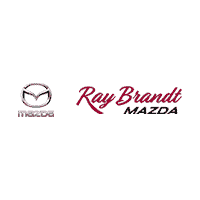 Valid only at RAY BRANDT MAZDA. Cannot be used with any other applicable offer. Mazda vehicles only. Prices may vary by model. Hazardous waste fee if applicable. Please present coupon at time of write-up. Coupon expires 07/07/2019.